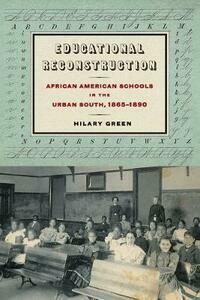 Tracing the first two decades of state-funded African American schools, Educational Reconstruction addresses the ways in which black Richmonders, black Mobilians, and their white allies created, developed, and sustained a system of African American schools following the Civil War. Hilary Green proposes a new chronology in understanding postwar African American education, examining how urban African Americans demanded quality public schools from their new city and state partners. Revealing the significant gains made after the departure of the Freedmen's Bureau, this study reevaluates African American higher education in terms of developing a cadre of public school educator-activists and highlights the centrality of urban African American protest in shaping educational decisions and policies in their respective cities and states.